Department of Livestock Services has published a new job circular. DLS Job Circular 2019 in the attractive government job circular in Bangladesh. 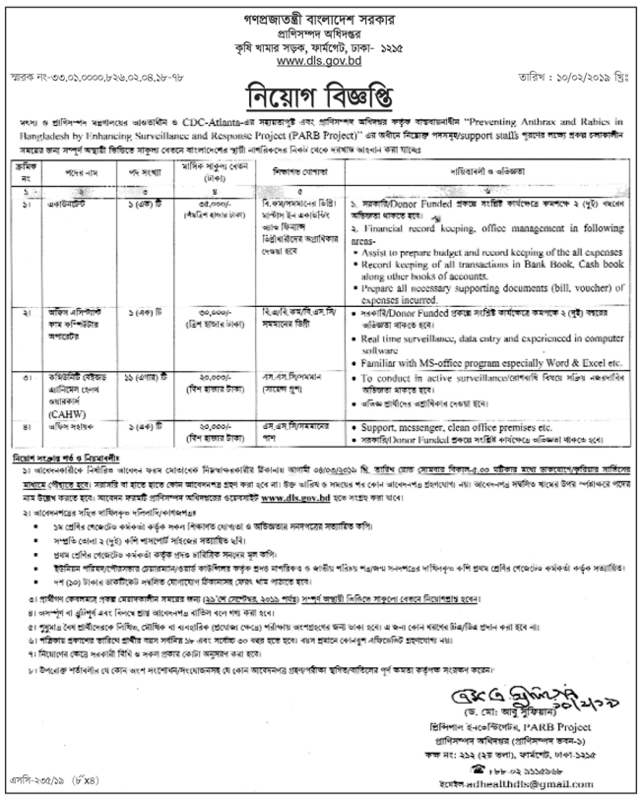 Department of Livestock Services official website – www.dls.gov.bd and newspapers are updated job notice. The DLS organization are looking for some new job holder in various field as per empty vacancy. They have a large number of a branch office in the rural area of Bangladesh. They want some hard worker and trust person. A great opportunity is available in the DLS Job circular. Educational Requirements: See circular below. How to apply DLS job circular? Are you want to apply to the Department of Livestock Services DLS jobs? You can easily apply for the post DLS Job circular. Then follow this instruction and complete your application. After successfully submitting application form you will get confirmation form. The Livestock Services authority will update the Exam date. After selecting Exam Date DLS job circular candidate can download admit card. Download DLS circular Admit Card and print your copy. Dear valuable visitor, We hope that you can understand the Department of Livestock Services (DLS) Notice. If You face any problem then contact us.